Becoming President of an Organising Committee is a notable achievement but Swiss freestyle skiing star Virginie Faivre undoubtedly wishes she could have done so in less tragic circumstances. 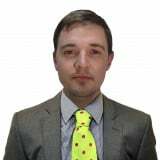 The Lausanne 2020 position was just one of the voids the Olympic Movement had to fill following the sudden death of Patrick Baumann at the age of just 51 during last year's Summer Youth Olympic Games in Buenos Aires. Faivre has the thankless task of following in the footsteps of Baumann, a well-respected official who only wore so many hats because the International Olympic Committee (IOC) and others had unwavering trust in him and whose passing sent shock-waves through the sporting world. The 36-year-old, a three-time world champion in the flamboyant halfpipe discipline, is relishing the challenge, however. "I have huge respect for Patrick and I am glad that I got to work and learn from him, it was an honour," Faivre told insidethegames in Lausanne. "It is even more a privilege to work in the continuity of what he has built. "I have a different experience from Patrick; I come as an athlete, I have another background and I will bring a different touch. I will do my best to honour him and all the team want to make the Games even more perfect. "It is hard for sport, his family and his close friends and we always have him in our minds." To be parachuted into the role in this situation is difficult enough but to do so with only one year to go would usually represent another obstacle. While Faivre is familiar with the project having been a keen ambassador of the initial bid, leading the organisation of it is a different story. 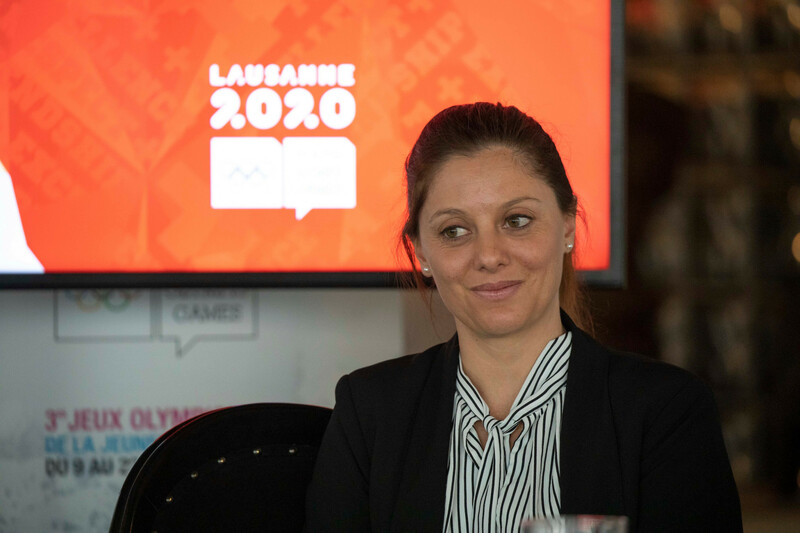 Thankfully for the Swiss, she has stepped in at a time where Lausanne 2020 appears to be on track to deliver a successful third edition of the Winter Youth Olympic Games next year. Others in her position have not had it quite as comfortable. Take Lee Hee-beom, who took over as Pyeongchang 2018 President from Cho Yang-ho amid severe concerns from the IOC in practically every area of their preparations for the Winter Olympics and Paralympics. Save for local residents complaining about the impact on the environment at some of the venues due to be used for Lausanne 2020 - a common grievance in the build-up to any major event - and having to find a new curling venue, organisers have avoided controversy and progress has, for the most part, been on the right trajectory. Almost all of the facilities are already built, except for a new ice hockey arena - which will also stage the Opening Ceremony on January 9 - and the "Vortex" Youth Olympic Village, a project where the timeline for completion was brought forward to ensure it is ready in time. 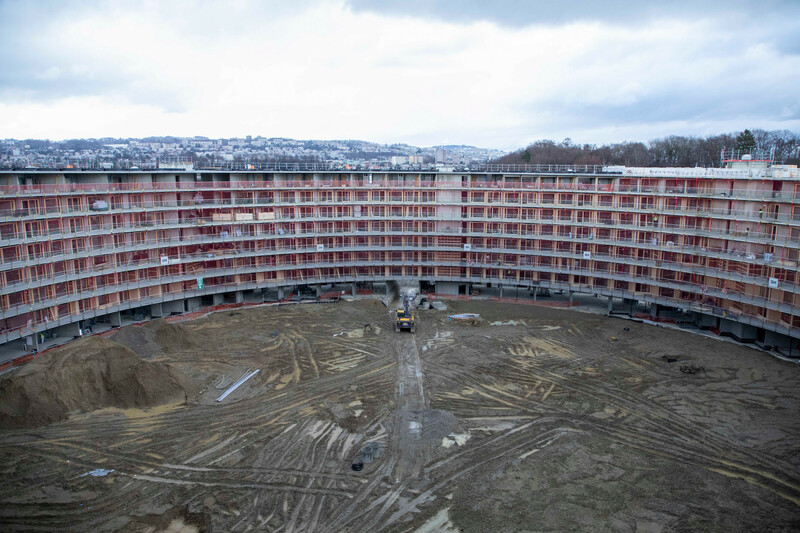 Those of us on a media tour to coincide with one year to go until the start of Lausanne 2020 were given a first-hand glimpse of progress at the two venues, both of which are slated to be completed by the Autumn. The spiralling, contouring Vortex structure was not supposed to be finished until late 2020 or even 2021 until organisers roped constructors into expediting the timeline for the Winter Youth Olympics. It will house around 900 athletes, who will benefit from freshly-built rooms and amenities accompanied with a communal green right in the middle of the open space at the centre of the building. Those competitors will arrive in "two waves". In a first for an Olympic event, athletes competing in the first half of the Games will attend the Opening Ceremony and leave the Village after their competition has concluded, before they are replaced by those whose events are scheduled for the second week. The structure, albeit not finished, is an impressive one and will be graced by students once the Youth Olympics have concluded. This is a welcome relief for those at Lausanne's numerous universities, many of whom struggle to find reasonably-priced accommodation in the city. Managers of the 10,000 capacity Vaudoise arena, the new ice hockey facility, hope it will be another jewel in Lausanne's crown. The venue is located at a site that will also include an Olympic-sized swimming pool, which could put itself forward for future major events once it has been built, and an indoor sports hall. It will also become the permanent home of Lausanne Hockey Club and is earmarked as a possible location for major concerts and performances. The other Lausanne 2020 venues are all existing. Organisers have heeded the demand from the IOC that no Olympic host city should build a sliding centre - often one of the most complicated Winter Games projects - by staging bobsleigh, luge and skeleton events in St Moritz, the only natural ice track which hosts international competitions in the world and which is located around 430 kilometres from the Olympic capital. While the IOC tend to claim any decision they make is as a result of Agenda 2020, Lausanne 2020 is living proof of one aspect of the reform package as the Nordic disciplines of cross-country, ski jumping, biathlon and Nordic combined will all be held over the border in Les Tuffes in France. It is little wonder then that Faivre, who is just over a week into the job, exuded enthusiasm when we sat down prior to a celebratory concert to mark the one year to go milestone. "I am really confident," she said. "The team has been doing an awesome job, we are on time and on budget, now this last year is going to be important to work on all of the little details and fix them. "All the infrastructure is ready, there is nothing left to be built apart from the ice rink and the Village - there it is normal and everything is on time. "Outside of that, some of the other venues have already been tested and others will be tested in the coming weeks and months. There is no doubt that the infrastructure is on the top level and we are going to see the best performances from the youth. "Now that everything is ready on the technical and competition side of the organisation, it is time to work with the population, particularly with the youth, who have been working in the background. "There are a lot of amazing projects which are going to come out in the next few months so now we want to activate the population so they can be part of these Games. "The whole promotion starts now." The promotional effort has already begun in earnest for Lausanne 2020, who unveiled a cow-dog-goat cross called "Yodli" as their mascot at an ice hockey match in the Swiss city earlier this week. 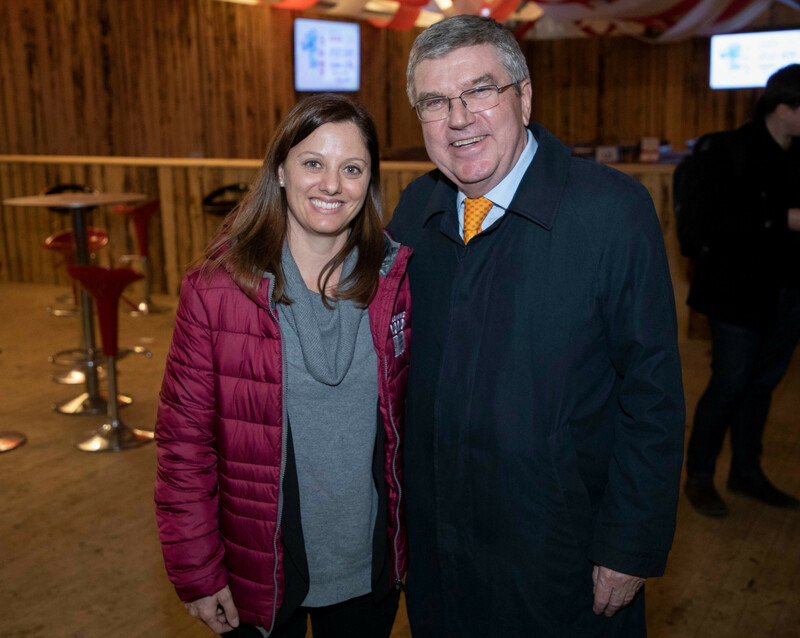 IOC President Thomas Bach was among those in attendance at the event, where Yodli made his debut appearance by getting the game between Lausanne Hockey Club - the home team of former Swiss international Gerard Dubi, the father of IOC executive director for the Olympic Games Christophe - and HC Davos underway at the Malley Ice Rink. The mascot was designed and created by students at ERACOM, the Romande School of Arts and Communications - an aspect praised by Faivre, who claimed involving the youth in their preparations was "a central element" of Lausanne 2020. Faivre also dismissed suggestions that, because Lausanne 2020's venue plan is so widespread it stretches into a different country, it will hamper their efforts at spreading their message as they bid to ramp up enthusiasm in the coming year. "This is something we are not scared of and it is not far between the venues," she said. 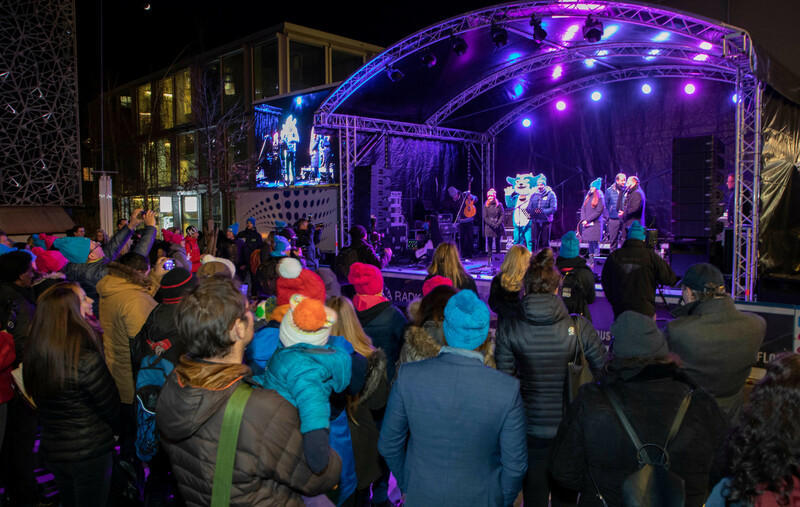 Promotion remains the biggest challenge for organisers of any Winter Youth Olympic Games, an event which needs more exposure than its summer sibling or its larger cousin. Even Bach admitted the organisation had to be "realistic" when it comes to worldwide interest in the Youth Olympic Games, citing the lack of traction the event receives in the media as an example. There are even those who still do not know the Summer and Winter Youth Olympic Games exist, such is the lack of global reach the event enjoys. While Bach claimed the IOC is working hard to address this, conceding they were "not yet where we want to be" with a project which remains in its relative infancy, it also puts added pressure on organisers to deliver an event that warrants its place in an already jam-packed sporting calendar. Faivre, however, does not see it this way. "I wouldn't take that as a pressure but more as a motivation to do even better and to show the event deserves to be there and that other cities and countries should follow," the Swiss, who called time on her career in 2016, said. "The IOC has said that there is already some cities who have shown interest in organising the event after us so we want to do even better to ensure it stays like that." If you believe Bach and other officials at the IOC, this was achieved at last year's Summer Youth Olympic Games in Buenos Aires, an event which even the Youth Olympic doubters were forced to accept as a roaring success. More than a million people attended sporting events and ceremonies at Buenos Aires 2018 after organisers offered free access, a policy which will be implemented by Lausanne 2020. The exact nature of the ticketing scheme at Lausanne 2020 is not yet set in stone, although chief executive Ian Logan said it would differ from Buenos Aires 2018 as the Opening Ceremony will be a paid-for spectacle and they are not likely to apply the digital pass method used in the Argentine capital. Buenos Aires 2018, much like Baumann, therefore offers a tough act to follow for Faivre and her team but Bach was adamant Lausanne 2020 could further cement the future of the Youth Olympics. "I think we have quite a few lessons to learn from Buenos Aires and a working group underway to study what we can take from those Games, not only for future Youth Olympics but also for Olympic Games," Bach said. "There the ticketing system is one, more for the Youth Olympics, and there I think it is a great option for Lausanne. "We have the obvious changes with some new sports on the programme and we have the two-wave system which allows us to involve more athletes in the Youth Olympic Games. "We have for the first time at a winter event gender equity, which we are pretty proud of. "We have a very good and innovative cooperation with the two universities in Lausanne so I hope altogether Lausanne 2020 can set the benchmark for future Winter Youth Olympics as did Buenos Aires for the Summer Youth Olympics." Such effusive praise is not unheard of from the IOC - officials even offered similar sentiments during the build-up to the beleaguered 2016 Olympic Games in Rio de Janeiro - but you get the sense the likes of Bach are being far more genuine when they talk about Lausanne 2020. Faivre is all too aware of the expectations of Lausanne 2020 for the fourth edition of the Winter Youth Olympic Games and claims her status as an athlete, and a highly successful one at that, will be "important" in helping the Organising Committee ensure it meets the high bar set by the IOC and others. Amid the call from athletes for more input in decision-making across the Movement following the controversial decision from the World Anti-Doping Agency to reinstate Russia, and the subsequent refusal of the country to comply with rules and deadlines, it is also enlightening to see a competitor with the profile and stature of Faivre take the reins at an Organising Committee for a major event. "It is really important," Faivre said. "The team that is here now working has a lot of competencies and everyone has a special skill. "It was just missing that last touch. As an athlete we experience international events from the inside. We definitely know what we want, how it works and how to do the best so athletes can perform at their best. "I will share that experience with them." It is now up to Faivre and her staff to make good on the IOC President's belief and to deliver an event Baumann would be proud of.